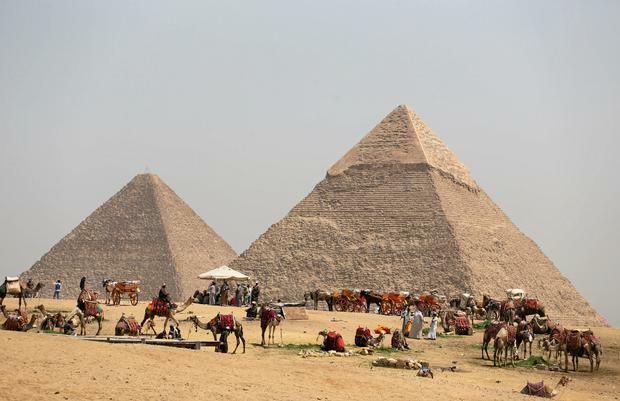 In an era in which there is much talk of emerging markets for exporters, Egypt can claim to be one of the oldest, if not the oldest, export markets in the world. The pharaohs of ancient Egypt governed a nation that imported huge quantities of wood, metal and precious stones from neighbouring kingdoms. Today, as throughout history, Egypt is a key geographical gateway with a land connection to the continent of Africa and the Middle East and, through the Suez Canal, the sea lanes of Asia and the Mediterranean. Ireland's trading relationship with Egypt is more recent, developing in the 1970s and 1980s with the export of cattle and beef, evolving into a market worth over €100m for exporters today. Much of this trade collapsed in the aftermath of the Arab Spring and the period of political turmoil that followed. However, with the devaluation of the Egyptian Pound in late 2016, and a sustained period of economic liberalisation, Egypt's economy rebounded. It is now growing at 5.5pc, the fastest in the Arab world. Egypt is attracting renewed interest, with over 30 Enterprise Ireland-supported companies attending a 'Doing Business in Egypt' event in Dublin on April 16. Clearly, there is optimism that Ireland can reclaim lost exports and widen its portfolio into sectors such as food products, ICT, life sciences, education services, travel tech and agritech. Cork's Mervue Laboratories are active in the Egyptian animal nutrition market, aiming to double exports over the next three years. Commercial director William Twomey says: "Egypt has massive potential and must be a target market for any serious animal health company. It can also be used as a gateway to surrounding markets, which is very attractive." While Irish eyes tend to focus on South Africa and Nigeria as Africa's biggest economies, Egypt is the continent's second-largest economy. This status was buoyed by the discovery of the offshore Zohr natural gas 'superfield' in 2015. Egypt's economy should be understood within a wider context. It is a lower middle-income country akin to Vietnam and Indonesia, with a population of over 100 million. Unique in the Middle East, it has a sophisticated industrial base producing white goods, textiles, industrial goods, electronics and components, and an emerging automotive sector. Within these sectors lie strong opportunities for Ireland's industrial sub-supply and services sectors. Openet and Openmind Networks from Ireland's telecoms cluster already sell to Egyptian mobile operators, and with Egyptians spending $6.1bn per annum on media and recreation, there is scope to expand our digital content solutions. Egypt maintains a strong position in the fast-growing global halal pharmaceuticals and cosmetics sector. It is the fourth-largest Muslim consumer food market, behind Indonesia, Turkey, and Pakistan. Egypt has already been targeted as a key market for Irish dairy product exports, and the rapid expansion of its retail sector, including large scale shopping malls and the emergence of hyperstore operators, will potentially generate opportunities for the wider Irish food sector. Thomas Cook brought its first tourists to Egypt in 1869. The country's rich cultural heritage and beach resorts contributed a record 19.5pc of GDP in 2007. Since then, its tourist sector has suffered shocks, due to terrorist attacks and the downing of a Russian Metrojet airliner in 2015. That triggered the cancellation of flights from key markets such as Russia and the UK. As the security situation stabilises, tourism has started to recover, with revenues jumping 123pc in 2017, and higher-spending German and Russian tourists set to return in 2018. The tourism sector is ripe for modernisation, presenting a clear opportunity for the Irish tourism and travel tech cluster. Enterprise Ireland's own travel plans include sectoral visits for Irish companies in autumn 2018 with the goal of re-establishing Egypt as an important Irish export destination.